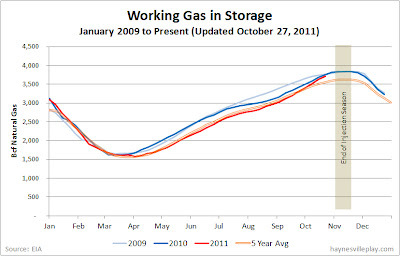 The weekly working gas in storage report showed a 92 Bcf net injection, bringing the natural gas storage level to 3.716 Tcf. The weekly injection was 24% higher than last year (+74 Bcf) and 96% greater than the five year average (+47 Bcf). 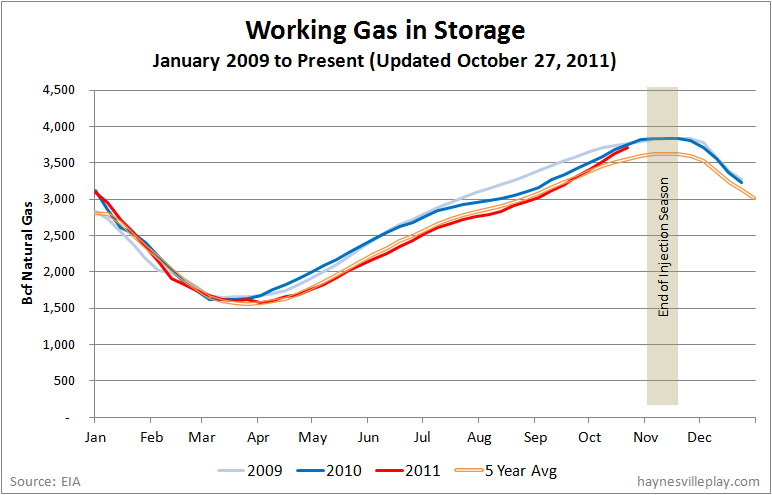 The current storage level is only 0.7% below last year and 4.4% above the five year average. After spending most of the year around or below the five year average, current storage levels are now poised to break last year's record high levels. Temperatures last week averaged 58.0 degrees, which 1.7 degrees warmer than normal and 1.1 degrees warmer than last year.